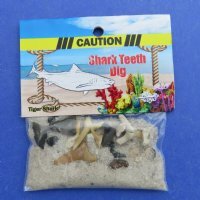 Souvenir bag of fossil shark teeth and pieces in sand novelty - 1 pack containing 10 bags @ $1.10 bag. 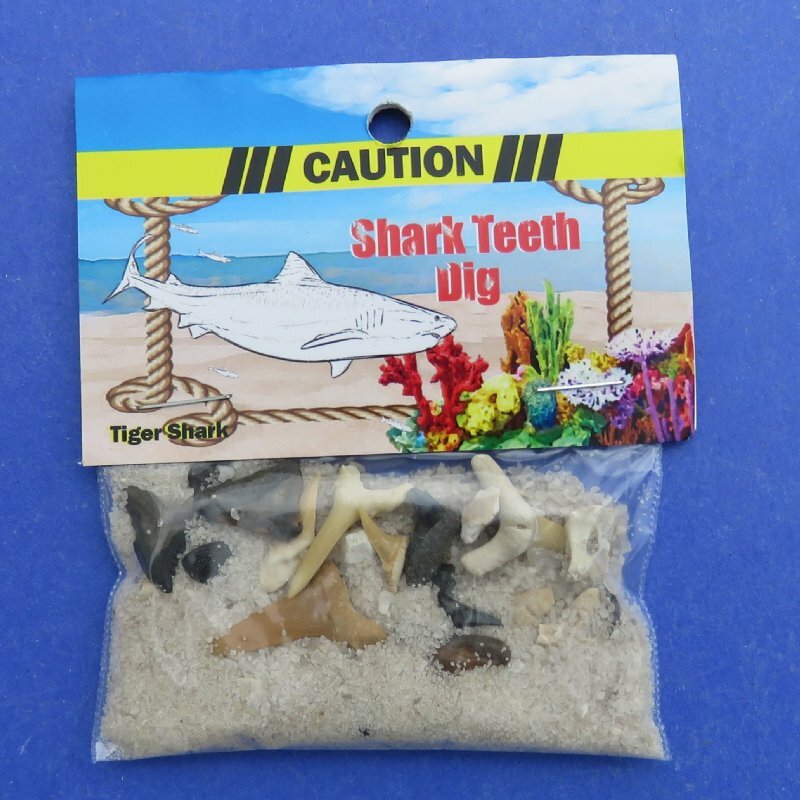 Souvenir bag of fossil shark teeth and pieces in sand novelty. 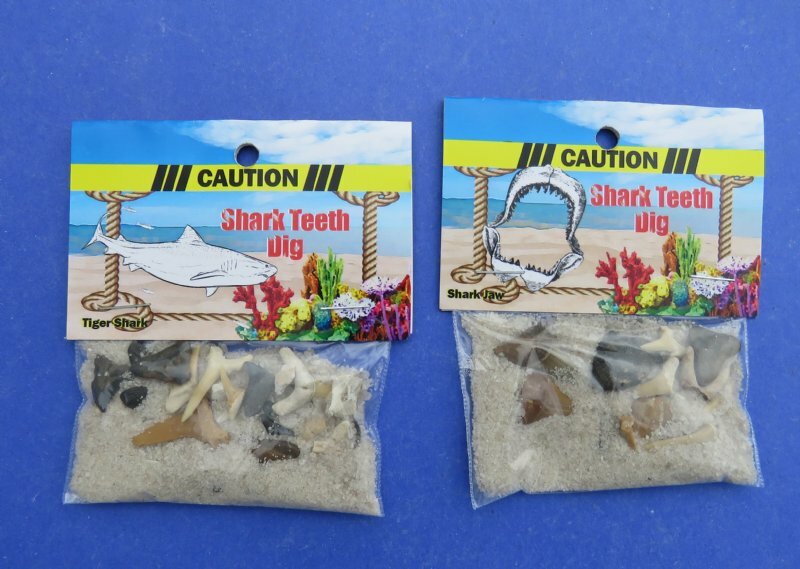 These small bags of fossil shark teeth and pieces are great souvenir gifts and are cute novelty items collected by people of all ages. No two bags are alike, you will receive bags similar to the ones pictured. $100 minimum order - No International Shipping!